You may feel, like I once did, empty inside and that something was missing in my life. Yes, I had material things, some measure of success and people in my life. But something was missing. I wondered and pondered, what could it possibly be? I woke up one day and said to myself, “What am I doing with my life?”, though I was working a job, being productive and having and enjoyable social life. It wasn’t enough, something has missing, I did not feel full. Again, I let the thoughts pass. As time went by I felt more and more empty inside as though something was missing. Something very important was missing inside of me and I needed this “something” inside of me to make me feel “whole” and complete. - What am I doing with my life? - Why does my life feel so empty? - What am I doing with to make this planet a better place for myself and others? It was time to “step up” in my own life. I had no more excuses, no place to hide, no place to run. I became aware of my responsibility to myself, to others and to our beautiful planet earth. It was time to accept that I had my “my work” to do and start taking action to actually start doing “my work.” There was no more time to waste. It was time to do “my work”. What do you mean by doing “my work”? Do my purpose; perform the tasks that my true abilities have granted me. It is my belief, that every person on this planet has certain innate abilities or “gifts”, and that these abilities are your tools to perform your true purpose or calling. - How do you know what your abilities are? - And even if I do know my abilities and talents, what do I do with them? - How can I help myself and others with my talents and abilities? 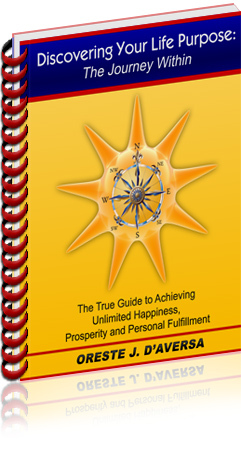 I’ve been through this myself and I am delighted and honored to offer you practical tools to help you on “your path” to find your life’s true purpose and in so doing unlock the vast store house of happiness, joy and prosperity. You will find that when you are aligned in body, mind and spirit your life purpose will flow with ease and grace. Meditation is a tool that will help you do all this and more. Meditating is the practice of quieting the mind of all its chatter as to be open to the thoughts of the universe. One can meditate on a given topic, such as your life purpose, a personal problem or whatever maybe requires further clarification or answering. Come here often and refresh yourself with this audio. If you are having a good day you will have a better day. If you are having not such a good day it will help you to have a good day. Meditation will help keep you in balance and in harmony. lively and down right fun!" 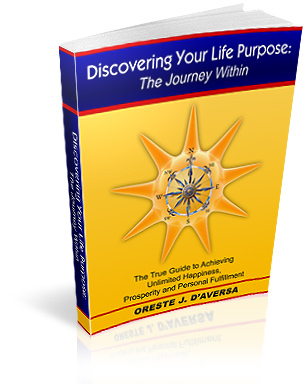 Discovering Your Life Purpose Mini-Course! Be on your way to find your true life purpose! and will receive one email a week until the course is complete. Who and I and why I am uniquely qualified to help you with this work? My name is Oreste “Rusty” D'Aversa, CPC and I am a Certified Professional Coach certified by the Institute of Professional Coaching and a member of Coachville. I specialize in being a Life Purpose Coach and my life’s purpose is to help people with practical tools, methods and techniques to find there true life's purpose and live a life life of unlimited happiness, prosperity and personal fulfillment. I am also an Author, Keynote Speaker, Seminar Leader, Corporate Trainer, Entrepreneur Consultant/Coach, Marketing and Sales Consultant, Outplacement/Career Consultant, Job Search Coach, and University Lecturer. I am the founder of The Institute of Practical Spirituality (www.PracticeSpirituality.com) helping people on their spiritual path and am an All-Faiths Minister (www.GodLovesYouAndMe.org), Spiritual Healer, Guide, Teacher, and Counselor. My extensive background in the corporate world, as well as being a business owner and consultant to entrepreneurs and corporations has been a formidable training ground to provide those seeking their life purpose with practical and proven tools to achieve their life purpose in a realistic manner as well as to sustain themselves financially making a living at what they love to do. Call me at 201-483-8660 to schedule your no cost or obligation consultation and be on your way to living your life overflowing with unlimited happiness, prosperity and personal fulfillment! Don't waste another day not living the life you were meant to have full of joy, prosperity and love. Call today! It will be the best investment of your time you have ever made. Living a life on purpose is truly living a full life! "We received many comments from listeners, thanking us for your insight and advise. Your expertise is invaluable!" Chapter 2: Why Are We Here On This Beautiful Planet? Start your trip with some reflection as to the reason we are here in the first place. Chapter 3: Being Human – What Does It Really Mean? We’ll explore briefly the individual components of being human and how they “interdependent” upon one another. Chapter 4: Some Exercises To Make Your Creativity Flow! here are some practical exercises to help you along your journey to make it as easy and effortlessly as possible. Chapter 5: A Little Bit Of Spiritual Stuff To Help You On Your Journey we are more than just flesh and bones learn ancient tools to help achieve your life’s purpose. Chapter 6: Guidance Finding Your Purpose From Some Universal Sources whether you believe in a Higher Power or not there are others that can help you on your path. Chapter 7: Prosperity: What Is The True Meaning? Though we all want money and lots of it, it’s only one piece of being truly prosperous. Chapter 8: What’s Your Passion? What gets your “motor running” and gets you excited just talking about? We’ll spend some time explore that here. Chapter 9: How Would You Like To Live Your life? If you had your choice of doing anything you want? What would it be? Let’s look into that here. Chapter 10: Finding Your Path To Where You Want To Go? It’s time to discuss the reality of getting where you are now to where you want to be. In some cases it may not be as bad as you think! Chapter 11: What Are Your Personal Gifts, Talents And Attributes? We all have them. Let’s start writing them down and see how they can help you on your journey. Chapter 12: Discover Your Education And Skill Sets? It’s time to take an inventory of your education and skills. You may just be surprised and you may know a lot more than you think you do! Chapter 13: Your True Job – Learn How To Find It! You’ll be surprised to find how people actually got their ideal job. Learn some proven and innovative techniques to land dream job. Chapter 14: Yes, You Can Have A Job And Do Your Life Purpose! Sometimes it may not be a job that will fulfill your life’s purpose. We’ll examine the options here. Chapter 15: Should I Be An Entrepreneur? Running your own business may be another option to achieving your life’s purpose. It may just be the right thing for you. Chapter 16: Your Life Purpose Statement – Let the World Know Who You Really Are! Start telling the world why you are here and what your life purpose is. How exciting a moment this is in your life! Chapter 17: Your Life Master Plan – Planning Your Work And Working Your Plan. It’s time to get out there and make it happen. Once you have a plan it’s just a matter of execution. Chapter 18: You Are Instilled With The Power To Manifest the Perfect Life Experience. 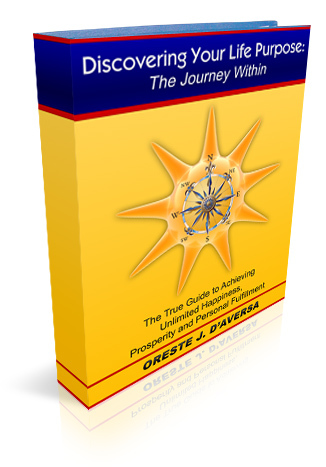 Learn a tool to help you achieve all you can be as part of your life’s purpose. Chapter 19: Enjoy And Celebrate Your Life Purpose and Celebrate Your Life! Congratulations! You’re living your life purpose. Be good to yourself and learn some more tips here. Get Chapter 1, 2 and 3 at no cost ! You will be receiving an email shortly with directions to get your free chapters. "A life of purpose is not only a true expression of who you really are, it is your gift to the world." on your journey to find your true life purpose. This is an electronic book not a hardcopy book. Adobe Acrobat Reader required to read PDF files. Available free from Adobe website. to find your true life purpose.! P.S. I am so sure that you will find my books to be the best investment you can make towards discovery your life purpose that I offer a 30 day money-back guarantee (except eBook). If you are not satisfied, for any reason, simply return the merchandise to me post-paid within 30 days and I will promptly refund your purchase price! © Copyright 2010 Oreste J. D’Aversa. All rights reserved.